German kitchen specialists. Family run company. Experienced designers Various ranges to cater for all budgets and tastes. Nationwide service. Will export if required. SONAS Bathrooms are Ireland’s leading provider of quality bathroom products. 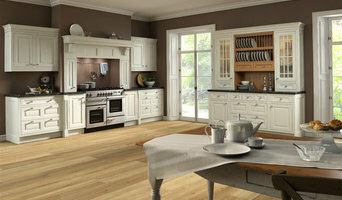 Springhill provides innovative fitted kitchen and bedroom furniture solutions. For over thirty years we have dedicated ourselves to the constant pursuit of excellence. Our focus is at all times on our customers by committing to Innovation, Quality and Integrity in order to provide the highest quality product and service. We are passionate about using our knowledge of materials and manufacturing technologies to develop fitted kitchen and bedroom furniture designs that fulfil the desires and needs of the modern home and lifestyle. Welcome to FGA Glass Splashbacks Ireland We offer our customers a bespoke design and installation service for all frameless & coloured glass applications. Our projects are tailored to your individual requirements, with a sophisticated range of fixtures and fittings giving you complete freedom of design. We take the greatest care when measuring, designing and fitting your new installation. FGA has been an expert in frameless glass for 15 years and is happy to offer a 10 year guarantee on all work. Creative Designers and Suppliers of Bespoke Handcrafted & German Kitchens, Wardrobes and Home Studies. We are a family run business in the thriving town of Dun Laoghaire in South County Dublin and we specialise in Kitchen and Bathroom design as well as having a vast choice of Tiles and Timber Flooring. Our showroom has all the services you need to refurbish any part of your house. 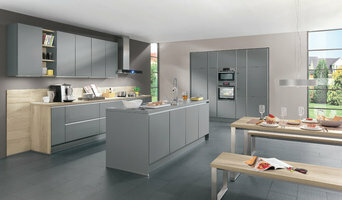 kitchenfittingsdirect.com is your first and only stop needed for kitchen fittings. We pride ourselves in delivering the highest of quality handles, knobs, sinks, taps, hoods, lights, storage products and hardware accessories. All at unbeatable prices, safe payment and fast delivery to your home. We have an extensive collection of handles with a free sample offering so you can rest assured that you’ll make the right decision. All our stainless steel sinks are supplied by the premium brand Pyramis. If you have any technical queries about any product, be sure to contact our expert customer service team who will be glad to help you. So whether you are renovating your kitchen, an enthusiastic DIYer or a long-established tradesman, we will deliver for you anywhere in the UK and Ireland. Flanagan Fittings are the leading furniture fittings company in Ireland with over 40 years experience in supplying to Irish furniture and kitchen manufacturers. We offer a wide range of services and products to clients both large and small in Ireland and Northern Ireland and stock a range in excess of 5,000 products, at our custom built distribution facility in Dublin. We stock and distribute leading brands such as Hotpoint, Faber Kitchen Hoods, Kitchen Aid and Indesit appliances. Flanagan Fittings are the sole distributors for Blum, with its world class soft closing drawer systems, hinge systems and fixtures & fittings, in Ireland. We are also the distributors for Sensio lighting solutions for the for both residential and the commercial market. Flanagan Fittings Ltd. can assist you in finding a solution to your furniture fitting needs. From drawer systems, lighting systems and larder units to wood screws and handles, we supply products from leading European manufacturers throughout the country. You can view a selection of what we offer in the products section of the website. What should I hire a Naas kitchen and bathroom fixtures specialist for? Whether you are doing up a house you’ve moved into or you want to update your bathroom suite or fitted kitchen, working with a Naas kitchen and bathroom fixtures specialist will be extremely helpful. Even if you want to source your own fitted kitchens and bathroom fittings from bathroom and kitchen showrooms, unless you are a skilled craftsman someone will have had to make the fixtures and unless you are a plumber you’ll probably need some help with installation! On Houzz you can find kitchen suppliers, manufacturers and installers of fixtures and fittings in Naas to help with all aspects of the process. In the kitchen you can change more than just the sink and taps. Even without ripping out all the fitted kitchen units, you can still have bespoke kitchen doors made to replace the old ones and worktops laid over old surfaces or replacing them entirely. Instant boiling water taps, waste disposal units and induction hobs are just some of the gadgetry and convenient fixtures that are available for fitted kitchens from kitchen showrooms and suppliers. Take a look at the Naas kitchen suppliers listed on Houzz to find out the sort of fixtures and fittings they offer. A bathroom isn’t a bathroom without its plumbing fixtures and good bathroom fixtures can make or break a home when it comes to selling potential. Take time to pick out bathroom fittings that work together; you can opt for a whole bathroom suite from a bathroom showroom or bathroom installer, but if you don’t want the overly matching look, a Naas bathroom fittings specialist can help you choose individual but complementary pieces. Power shower installation can boost the appeal of your bathroom (no one likes a weak shower) and extra special features like his and hers sinks, shower body jets and roll top baths will give your bathroom style that added oompf. If you can’t stretch to extravagant bathroom fixtures you can still talk to a fixtures specialist about electric shower installation or installing a new toilet; it may seem like a lot of hassle at first, but when you leave it to a professional, all the hassle is taken off your hands. Many Naas kitchen and bathroom designers will install or offer help with your fitted kitchens, bathroom fittings and fixtures, so if you want an all-in-one renovation service, you can contact these professionals on Houzz as well. Talk to kitchen showrooms, suppliers and bathroom stores to see if they offer their own installation service or can recommend a local Naas installer for you. Here are some related professionals and vendors to complement the work of kitchen & bath fixtures: Kitchen & Bathroom Designers, Kitchen & Bathroom Fitters, Interior Designers, Cabinet Makers. Find kitchen or bathroom fixtures and fittings manufacturers on Houzz. 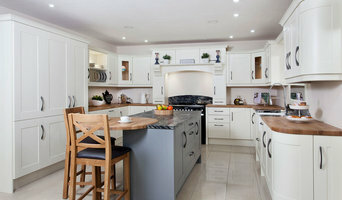 Check out Naas fitted kitchen showrooms and bathroom fittings installers on Houzz. You can also look through project photos provided by Naas kitchen suppliers, bathroom renovators, showrooms and designers to find fixtures you like and contact the professional who installed them.